WRAP® workshops are designed to be highly interactive. Facilitators encourage participation at whatever level feels comfortable. WRAP® is a living document that is unique to everyone. WRAP® facilitators skillfully share this simple and profound educational model so that participants can incorporate WRAP® into their lives. 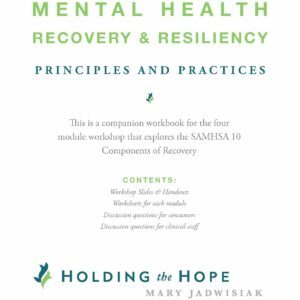 Through engagement in a WRAP® Seminar 1 workshop, participants will have a good understanding of the Key Concepts of Wellness and Recovery, and explore ways to integrate the philosophy into daily life. Participants of WRAP® Seminar 1 workshops will engage in a facilitated self-exploration process. 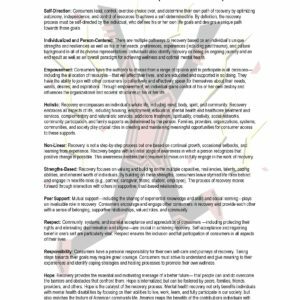 They will unearth strengths and create personal powerful action plans to deal with life’s challenges. Through attending this experiential workshop, as well as time spent developing a personal WRAP®, participants can fulfill the prerequisites needed to attend a WRAP Facilitator training. Beth Handewith Gould has been working in Peer Services since 2002. 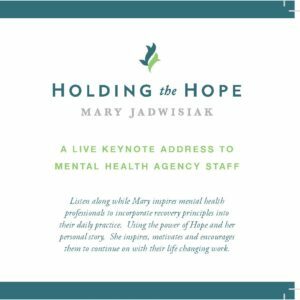 She has worked as a State and National Trainer for the NAMI Peer-to-Peer Program, as National Field Manager for the NAMI Connection Support Group Program and served as a Certified Peer Specialist at the Skagit County Crisis Center. She also writes and presents continuing education curriculum for Peer Counselors and is a certified WRAP trainer. As the owner of Greater Vision Life Coaching, LLC, Beth’s individual coaching sessions and group workshops offer life-changing opportunities for personal growth and development. Beth is grateful for the wisdom and insights encountered on her recovery journey. She is currently becoming an Advanced Level WRAP facilitator. Bill Murray lives in Spokane, WA. He became a Certified Peer Counselor in 2017 as a result of a long thought out career change from the transportation industry. Helping others comes naturally to Bill and he enjoys his position with Holding The Hope as Training Support for Continuing Education trainings. He is also trained as a CCAR Recovery Coach and aspires to be more active in the recovery community. 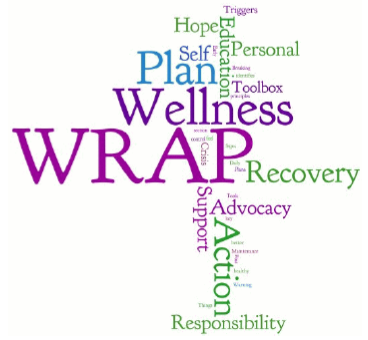 The WRAP plan has become one of the most important tools in Bill’s recovery and wellness, and he was recently certified as a WRAP co-facilitator. 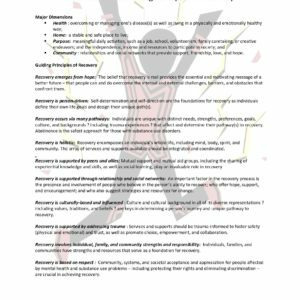 He looks forward to the opportunity to encourage others to create and use their own WRAP plan and support people in their wellness and recovery goals. Registered peers will be responsible for their own travel and lodging accommodations. Seating is limited, pre-registration is required. Employed certified peer counselors will be given first priority. Please send questions to Sharon Holmes at Sharon@HoldingtheHope.com. Please note, by registering for this workshop you agree to be added to our mailing list for notification of future events/trainings/workshops.